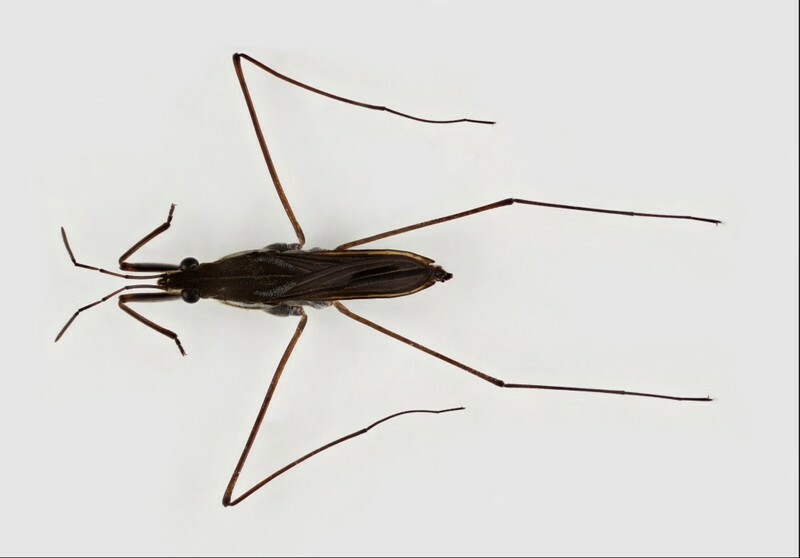 There are about 46 North American species of water striders in 9 genera. 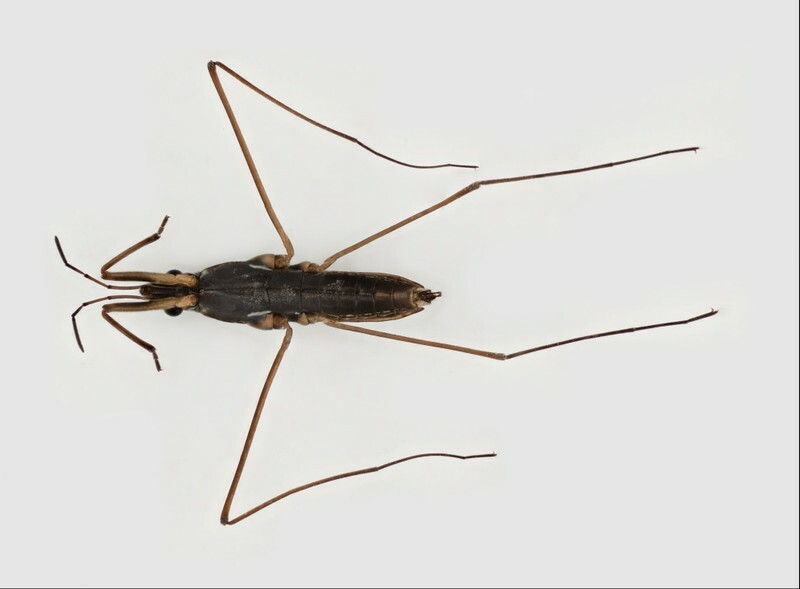 Using water-repelling hairs on their tarsi (feet) to stay on top of the water and water-surface-penetrating claws to gain purchase in the water-surface tension, these familiar insects skate rapidly on the surface of open water of lentic habitats and slowly flowing areas of streams. Their movements are clumsy on shore. Because adults often lack wings, distinguishing nymphs from adults requires careful examination of genital structures. Both larvae and adults feed on living and dead insects trapped on the water surface. Order: Adults: With or without wings. If wings present, forewings typically leathery or hard basally and translucent and flexible apically. Nymphs: With or without wing pads. Segmented legs present. Mandibles hidden within needle-like beak in adults and nymphs. Family: Antennae longer than head and conspicuous in dorsal view. If wings present, membrane without distinct, similar cells defined by wing veins. Claws of at least front tarsi arising before tarsal apices. Hind femora much longer than abdomen.